It was a spring day in 1858 and Col. Edward Steptoe was riding north through the rolling grass prairie that covers the loess hills on the eastern side of the Columbia Basalt Plateau. His mission was to support settlers and miners in the northern part of Washington Territory with a show of force. A combined force of 1000 Plateau Indians of the Palouse, Walla Walla, Coeur d’Alene, and Spokane tribes stopped Steptoe at the Battle of Tohotonimme near Rosalia, Washington. The extensive loess “dune” fields allowed for concealed rapid movement of the mounted natives. The army dragoons were vastly outnumbered as they took a stand on a loess hilltop. Darkness, luckily, ended the battle and the troops fled south to Fort Walla Walla. It was a humiliating defeat for the army and quickly a better-equipped force under Col. George Wright was assembled to put an abrupt end to native resistance. In September, at the battles of Four Lakes and West Plains near Spokane, the army defeated the Plateau Indians. Wright positioned his troops armed with modern rifles and artillery on high ground created from basement rocks that rise above the flat basalt plains preferred by the mounted Indians. Both the Steptoe and Wright campaigns were significantly influenced by the geology and geography of eastern Washington. 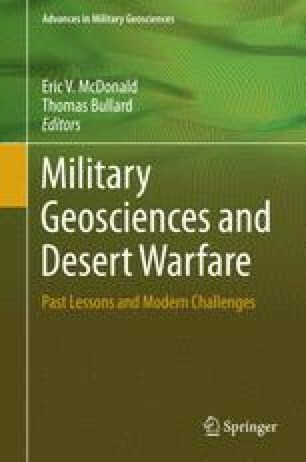 The juxtaposition of hills of older basement rock, a Miocene basalt plateau, and Pleistocene paraglacial loess fields and outburst flood deposits created topography with geomorphic features that were used advantageously by both sides in the conflict. The type locality of the geomorphic feature known as a steptoe is located just south of Rosalia, the site of Steptoe’s defeat. These military campaigns of 1858 can be placed in the larger context involving the settlement of the Oregon country and the conflicting philosophies of land and water use of the Native Americans and the settlers. The Plateau Indians were traditional hunters, gatherers, and fishermen. With the coming of the Hudson’s Bay Company, they were encouraged to trap beaver. Beginning in the 1840s, the Oregon Trail brought settlers from the eastern United States who began farming and mining, bringing Indians and settlers into conflict. In the 1850s a military road through the area further inflamed tensions. Although the Indian wars have long ended, conflict still exists in regards to land and water rights, involving fishing, hydroelectric power, and the honoring of past treaties.